Vettel, on verge of a racing breakdown. Unlike most years, very little information about the new car (legit or otherwise) is doing the rounds on the tinter-web; other than a supposed completely new and different livery. Edited by ConsiderAndGo, 03 February 2019 - 10:56. I really am curious if they will take the lead with having the best car out there. Last year Ferrari edged to Mercedes as having an equal or perhaps even better car. That was somewhat a surprise to many after the winter. I'm a bit concerned about the rumoured livery change. Based on their recent efforts as well as Ferrari's current corporate visual style I have no faith at all in their design department. Edited by Anja, 01 February 2019 - 11:05. That is a matter of taste, isnt it? Edited by SCUDmissile, 02 February 2019 - 00:32. Well one of the worst livery was the splattered white on top of the air box and cockpit 2-3 years ago? Vettel, on verge of breakdown. Edited by BRK, 03 February 2019 - 09:47. When he collected 6 podiums and 1 win, finishing the season in 2nd place. Doesn't seem like he's on the verge of any breakdowns. I'm sure the media are having a field day playing up this angle, though. Best to wait until the season begins to see how he fares this year before making any pronouncements, at least. Anyway - it's been very quiet on the Ferrari front this winter. Best approach IMO, hope it translates to yet another champonship contender. With lowest of 6, disregarding Botras and Riccardo is at least for 4th as bare minimum. And 1 win in 10 races doesn't get you championships. 1 win in 10 races doesn't get you championships. True, that's why the guy that won the championship won more than half the races - 11 in all, just like in 2014, an even more than in 2015 and 2016 - while the 19 other drivers have to make do with the rest. Now if only there was someone to complain about. Like, the one guy who had the same car as the champion. Who managed to win all of... zero races. What a stand-out guy he is. But hey! Vettel "only" won five races for Ferrari. Booooooo! Shame on him! Absolute numbers are worthless without context. Unless one truly believes 5 wins in the 2018 Ferrari are proving better driver performance than just 3 wins in the 1996 car. Ooh, 6 podiums in the second best car, how impressive. Edited by Anja, 03 February 2019 - 12:18. There was another change and a pretty big one: Press Officer Alberto Antonini has been replaced by Silvia Hofer (Ex-Williams and McLaren). Ferrari is essentially acknowledging there was an issue in its relations with the press. Edited by FLB, 03 February 2019 - 14:49. Unless one truly believes 5 wins in the 2018 Ferrari are proving better driver performance than just 3 wins in the 1996 car. Dunno. Maybe people who use "Vettel won 5 races in 2018!" as if that would prove something about the driver. But it doesn't, not as an isolated fact. A driver might win 5 races in the best or the worst season of his career, without further context there is no way to tell. Some rumors about a Ferrari with different tones of red in it. From classic red to a more orange-esque tone, with a gradient transition effect towards the back. But, apparently, it's subject to last minute changes, as Binotto wants it to be just dark red. Edited by thegamer23, 03 February 2019 - 17:03. Guilty of that! I mean us fanboys (you and I) sometimes lose sight of what's important. And 1 win in 10 races doesn't get you championships. Keke Rosberg disagrees with you. In that era, we didn't have 21 races/year. Regarding the color. Back to the crimson red they ran until 1996 (and 07 and 08) would be very nice. Ah, the old changing the goalposts trick. With all the respect, not really the best way to start a thread. This should be a space to talk about the upcoming car, instead it's already Vettel here, Vettel there, etc. A bit annoying, to be honest. 2018 is the past, let's try to be positive! The colour/ paint scheme will be whatever Philip Morris decide, although not sure where they are trying to go with Mission Minnow. IMHO all the car threads have been started too early. There is no real information to be discussed yet. Well, at least it ended positively. The last quarter of 2018 saw a 6% increase in income. As a result, the share price jumped 27% in January. Stability should be returning as the market is showing renewed confidence in the strategies of the company. John Elkann did what he had to do to reinforce Camillieri and quell the rumours of Domenicali's return. The share price had already jumped 3,5% shortly after Arrivabene's replacement. As an aside, during the most recent call to the investors, it was confirmed the F1 team's budget would be increased for 2019. Camillieri was clear there is only one goal: to win (both championships). Edited by FLB, 03 February 2019 - 22:23. 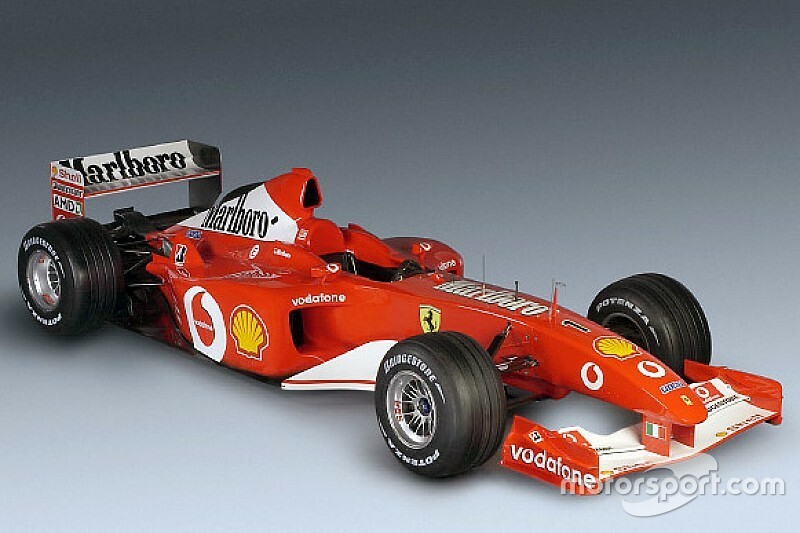 Maybe Ferrari will have the pink livery this year. Sounds like he knows what he is doing. Good call promoting him. Edited by SCUDmissile, 03 February 2019 - 23:25. I wish Seb+Leclerc steps it up big time and give Lewis hell. How about a lot of 1-2's with Lewis Kimi in close 3rd,for wishful thinking. Then Raikkonen did something fundamentally wrong with those two previous years' Ferraris, if Raikkonen is on the podium with the Sauber. And, no, that wouldn't mean that the Ferraris Raikkonen drove weren't that much better or good at all. Hartley joins Wehrlein, Fuoco and Rigon in the simulator. Has Ferrari always had the weakest test/computer-simulation drivers? Hasn't Giovinazzi being doing most of that the past couple of seasons? Who is to say they are the weakest? They may not be the fastest of race drivers, but could be ideally suited to the test environment. Hartley wasn't nearly as terrible at Toro Rosso as some made out last year. Close to Gasly on pace, strong technically. As I've already said, "the weakest...". Hartley performed the role for Mercedes. That's a rather unsubstantiated claim. If Todt, Brawn, Byrne, and Schumacher all thought Badoer was doing a fine job - and thus kept him around for year after year - that's about as close to being definitive proof he was indeed great at testing. If Kvyat belongs on your list of "weakest" drivers then I wonder who the hell they could employ as a test driver that doesn't. Nico Rosberg? Why not Ocon? Hell, even pre-success-Renault Alonso was test driver in 2002. Or Schumi was test driver 2007/08 or... Stoner has been test driver until the end of 2018. You think he wants to for a test seat? If it was good enough for Alonso back in 2002, it's certainly good enough for Monsieur Ocon. It was a different circumstance as Alonso had had just 1 season of experience & Briatore was Alonso's manager. Besides, Ocon is already employed as a Merc test driver with a chance for 2019 seat so Ferrari cannot just walk in and tie him up. Jeez.